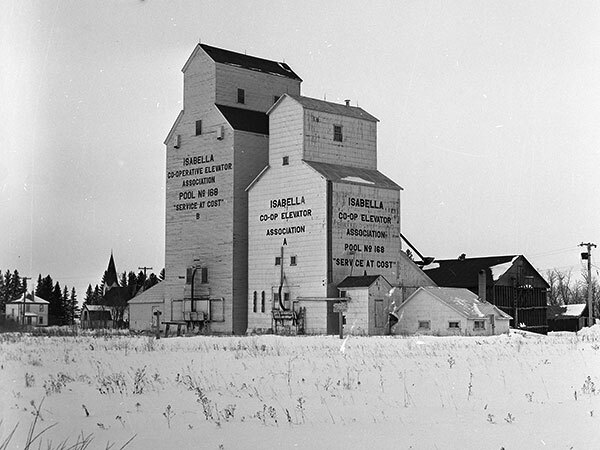 Two wooden grain elevators stand in Isabella, on the former CNR Rapid City Subdivision in what is now the Municipality of Prairie View. 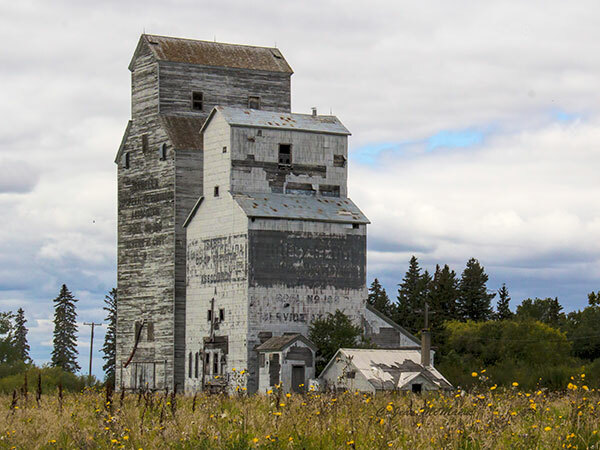 The shorter of them was built by the Western Canada Flour Milling Company at Crandall and was dismantled and reassembled at Isabella in 1910. It was sold to Manitoba Pool Elevators in 1939. The taller elevator was built beside the smaller one by Manitoba Pool in 1955. 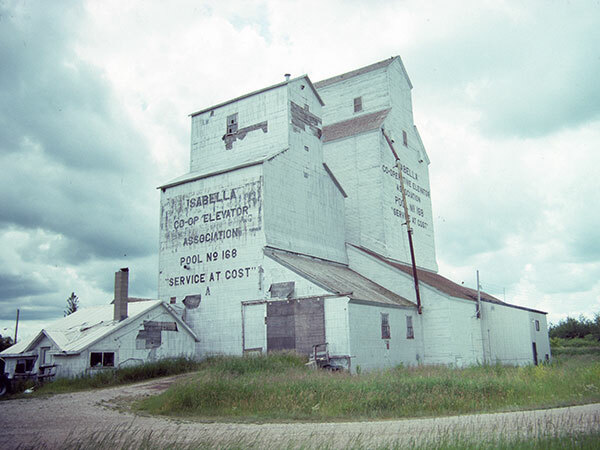 A third elevator at Isabella was constructed in 1913 by the Grain Growers’ Grain Company (later United Grain Growers), probably replacing an earlier elevator, and operated by the company until 1962 when it was traded to Manitoba Pool. The elevator was demolished in 1978. The two Pool elevators closed in December 1978 as the adjacent railway line was abandoned. They were sold to a group of three local farmers and used for private grain storage into the early 2010s. They are now abandoned and in poor structural condition. Source: Historic Resources Branch, Grain Elevator Inventory, slide 2150. “Mr. and Mrs. Harry Levins,” Rural Reflections, Volume 2: 1879-1982 by Isabella History Committee, 1982, pages 278-279. We thank Bernice Still for providing additional information used here.